Great Taste, the world’s most coveted food awards, which celebrates the very best in food and drink, has announced the Great Taste stars of 2018. Out of over 12,600 products to be judged, our Angels’ Nectar Rich Peat Edition has been awarded a 2-star Great Taste award, which means the judges categorised the Rich Peat Edition as 'above and beyond delicious'. Judged by over 500 of the most demanding palates, belonging to food critics, chefs, cooks, restaurateurs and producers, as well as a whole host of food writers and journalists, Great Taste is widely acknowledged as the most respected accreditation scheme for food and drink producers. As well as a badge of honour, the unmistakeable black and gold Great Taste label is a signpost to a wonderful tasting product, which has been discovered through hours and hours of blind-tasting by hundreds of judges. In a nutshell, the Great Taste awards, organised by the Guild of Fine Food, is the benchmark for the speciality food and drink sector, so this award is fantastic recognition for Angels’ Nectar. Great Taste values taste above all else, with no regard for branding and packaging. 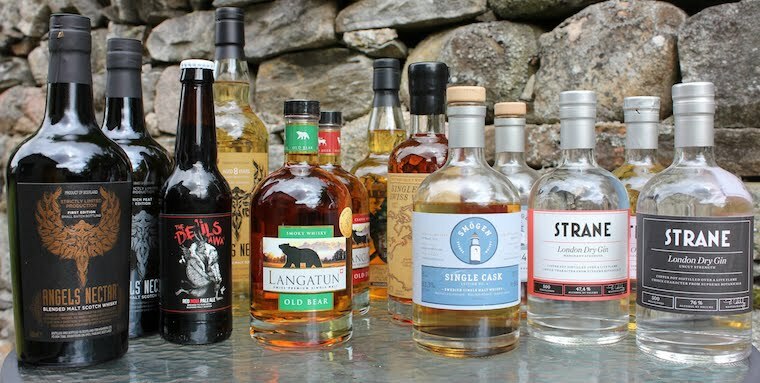 Whether it is cheese, granola, bacon or whisky being judged, the judges do not see the packaging. The judging panel then savour, confer and re-taste to decide which products are worthy of a 1-, 2- or 3-star award. One of the judges described the Rich Peat Edition; 'Lovely natural colour, with a clean smokey aroma and hints of spice giving it appeal. The taste is really lovely, with plenty of the anticipated peaty, smokey flavours, but quite nicely balanced with the sweetness and more of the spice. Very rounded, lingering spicy, fruity finish with good depth of flavour and really easy to drink'. Across all categories there were 12,634 entries into Great Taste this year. Of those 1,207 products received a 2-star award. The panel of judges this year included; MasterChef 2018 champion, Kenny Tutt, chef and food writer, Elly Curshen, eco chef and food writer, Tom Hunt, author and chef, Zoe Adjonyoh, baker Tom Herbert, author and blogger, Izy Hossack, and baker and recipe writer, Martha Collison, as well as food buyers from Harrods, Selfridges and Sourced Market.